Nothing exciting gaming-wise today, but I sent out an adventure for the first issue of Brave the Labyrinth, a free Labyrinth Lord ‘zine that Small Niche Games is putting out (aiming for July 1st). It’s a short (2,600 word) adventure called “The Screams from Jedder’s Hole”. I won’t spoil it here, but you should be able to read it for the first time in the magazine. I’ll post the adventure on the blog sometime Septemberish. 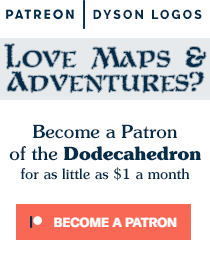 Anyways, to go along with the adventure and map, I had to put together an ad for my books. I ended up using two maps I haven’t posted to the blog yet for the ad, and realized exactly how hard it is to put together something really appealing on a visual level. I’m hoping this final product is visually appealing without getting confusing. I may work in marketing, but I’m not a graphic designer. That’s a cool font. I’ve been using it for my name plate on my blog since I did an update some months back. It’s visually well balanced and gets its point across just fine. Good work as always, sir.